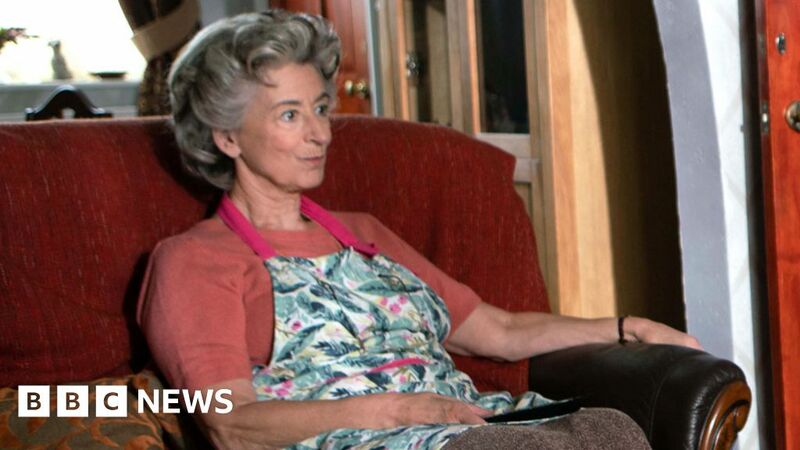 Coronation Street is adding Maureen Lipman to the list of acclaimed actors joining its ranks – she will play “outspoken battleaxe” Evelyn Plummer, the grandma of Tyrone Dobbs. Her character comes into Tyrone’s life after he researched his family history after the death of his mother, Jackie. She will “ruffle a few feathers on the Street”, according to ITV, much to the dismay of Tyrone’s girlfriend Fiz. The show’s producer Iain MacLeod said he was “beyond thrilled”. He described Evelyn as a “great new character” saying he was so pleased she would be “played by someone of Maureen’s pedigree”. “Evelyn is eye-wateringly withering and will add a fresh dollop of northern humour to the show as she turns Tyrone and Fiz’s lives upside down,” he added. Lipman, who appeared in Roman Polanski’s Oscar-winning film The Pianist, was also in Educating Rita and the musical Oklahoma with Hugh Jackman. She is currently appearing in new a one-woman show at Edinburgh Festival Fringe called Up For It. She has also written 10 humorous books and her late husband Jack Rosenthal, who died in 2004, wrote 250 episodes of Coronation Street. Lipman told BBC One’s Breakfast she wasn’t sure at first if she would be able to fit a soap role in alongside her Edinburgh show. “I got the call from Coronation Street and ‘I thought I can’t do this because I’ve got a show’,” she said. “I’ve got a picture of my late husband, a triptych, and there are lights above it. And I was saying ‘I don’t think I can do it’, and then the light came on – above his picture! She is among several big names to have appeared on the long-running ITV soap, including Sir Ian McKellen, Andrew Sachs, Rula Lenska, Stephanie Beacham, Nigel Havers and Noddy Holder. The show has also featured Sir Ben Kingsley and Joanna Lumley in their early acting days. Lipman, who previously appeared in the soap in 2007 as a relief manageress at the Rovers, will return to the cobbles in September.